How to play the flute with Dodeka Music? Learning how to play the flute is usually quite simple. With Dodeka Music it is even simpler. Thanks to Dodeka alternative music notation that removes flat and sharp on the score, you can easily read your score and play the flute at the same time. 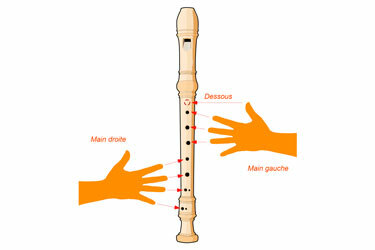 To play a note on a flute you position your fingers in a specific way on the small holes. For So with Dodeka Music, as you don't have flat and/or sharp anymore, you can simply learn all the twelve different fingerings (position of your finger on the flute). 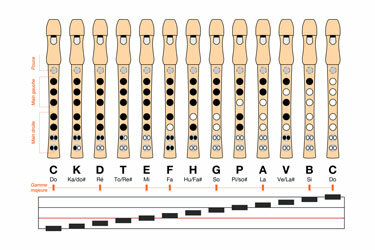 The below picture shows all the twelve different fingerings with the corresponding note on the Dodeka notation. Download the pdf version here. 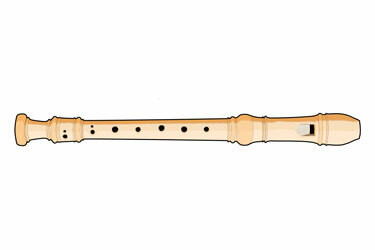 If you want more information on how to play the flute with Dodeka Music, please reach out to us.